What would summer be without juicy sweet strawberries or a fresh fruit tart? 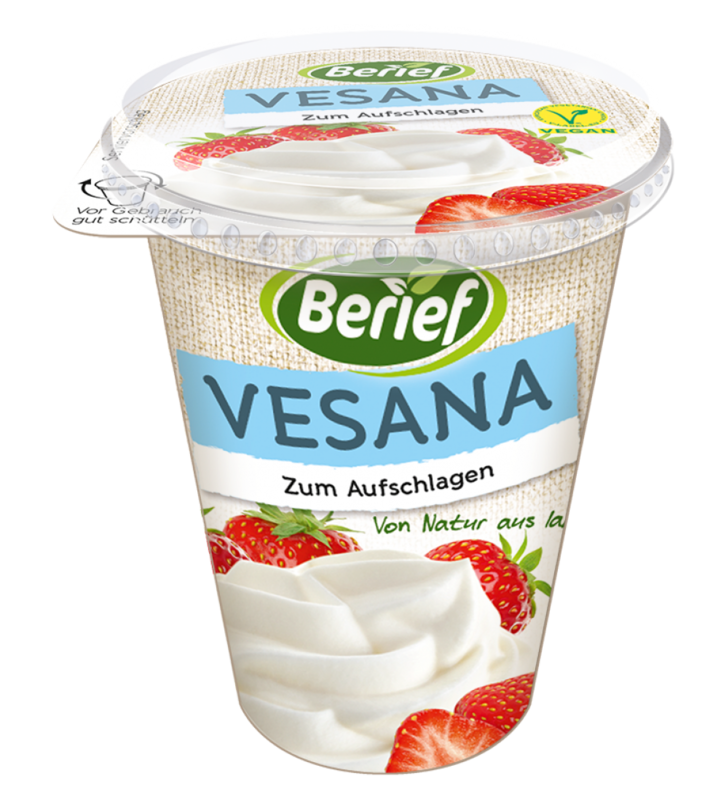 For that dab of "extra pleasure" on top you can now rely on Vesana. The delicious, light soy alternative to whipping cream is 100% vegan, gluten-free and lactose-free, and it can be whipped in precisely the same manner as whipping cream, however it contains 7% less fat. Now if that's not a reason to enjoy. Make your summer more tasty with Vesana! Hello! Nice that you're here!